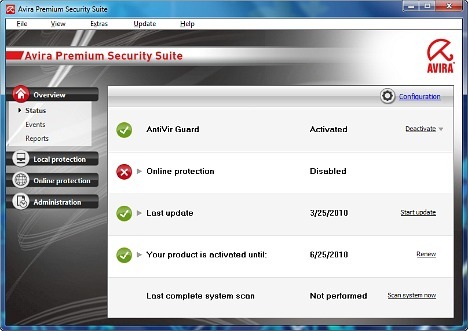 Avira Premium Security Suite is a powerful security suite for home users that provides protection against viruses, hackers, online fraud, spam, phishing schemes, spyware, identity theft and all other known and unknown threats. Avira Premium Security Suite is equipped with generic repair technology that provides smart and fast repair for detected malware. Click “Produktschlussel anfordern” button as shown in below image to download German version setup installer. Install and select “Produkt testen”, and then click Next. Now enter name, email address, country, and other information, and click Next. 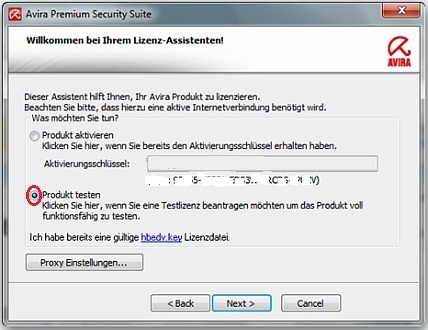 An email from “Avira” will be sent to registered email containing the six months license key link. 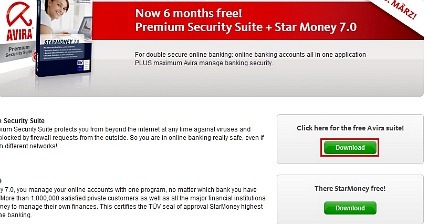 Click on the link and enter the orange button to receive license key for Avira Premium Security Suite. Save the license key in your computer. 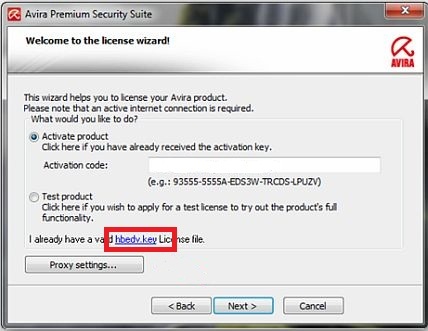 Install and click “hbedv.key” and browse to location where license key saved to active the Avira Premium Security Suite 10.